Calls have been made for a priority parking scheme to be rolled out in a corner of the Capital to halt commuters and holiday-makers using streets as a “park and ride”. 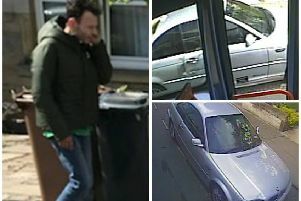 Locals have long-complained about people heading to Edinburgh Airport for holidays leaving their vehicles on narrow streets for weeks, while some commuters park up in Corstorphine to avoid charges in the city centre. Alex Cole-Hamilton has backed proposals for a priority parking scheme. St John’s Road, which cuts through the centre of Corstophine, is one of the most polluted routes in Scotland and emergency vehicles have on occasion struggled to meander through narrow side streets. Conservative Cllr Scott Douglas, who represents Corstorphine and Murrayfield, said: “For too long many drivers have used Corstorphine as a park and ride. “This has led to many residents struggling to park on their own streets, with some cars left for weeks as their owners go on holiday. A priority parking scheme has been rolled out in other parts of the city and is less formal and cheaper for motorists than the zonal parking permits used in the city centre. Priority parking is designed to help residents park closer to their homes and would likely be in operation for short periods, Monday to Friday. Liberal Democrat MSP for Edinburgh Western, Alex Cole-Hamilton, has backed proposals for the priority parking scheme. He said: “Parking in Corstorphine has been a problem with both commuters and holiday-makers for many years now. “Cars are left in situ for weeks on end instead of paying for parking elsewhere. There’s an immense frustration in the community, particularly amongst older residents. “It creates road safety issues and in some cases where the streets are narrower, emergency service vehicle have struggled to pass. Last year, the council carried out a parking survey in Corstorphine. The survey showed that Corstorphine attracts a high number of car trips. The council admits the widespread parking by holiday-makers and commuters “can have a detrimental impact on residents and on businesses”. The council asked residents to have their say in a public consultation on parking in Corstorphine, ahead of potentially bringing forward measures to combat the clogging-up of streets. The consultation closed on Sunday. 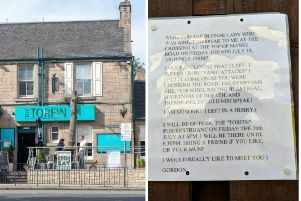 A council spokeswoman said: “We appreciate the impact parking by visitors and commuters has had on the community in Corstorphine, sometimes making it difficult for residents to park near home or occupying spaces meant for customers of local businesses.